Pest description and damage Rose leafhoppers are small, active, whitish-green insects which hop when disturbed. The nymphs (immatures) are white with red eyes. Rose leafhoppers feed on the surface of leaves, causing white or pale blotches of dead cells that resemble spider mite stippling. Injured leaves may drop prematurely. Eggs are laid in the fall, which also wounds the canes, providing entry points for fungal pathogens. Cast skins can be found on the underside of leaves. Leafhopper damage is mainly aesthetic. They are distinguished by their ability to run quickly forwards, backwards, or sideways to escape danger. 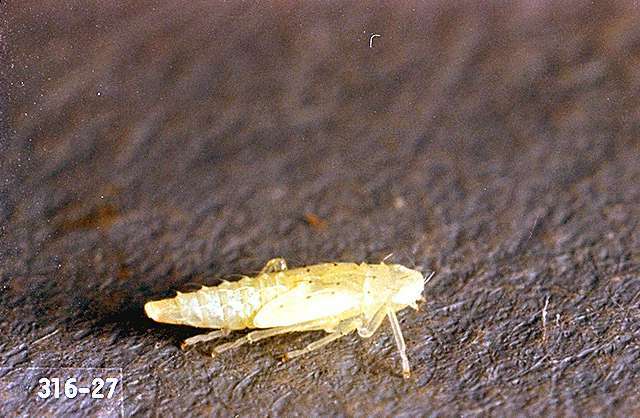 Some leafhoppers transmit disease. Sometimes leafhopper damage will cause the tips of leaves die and turn brown. 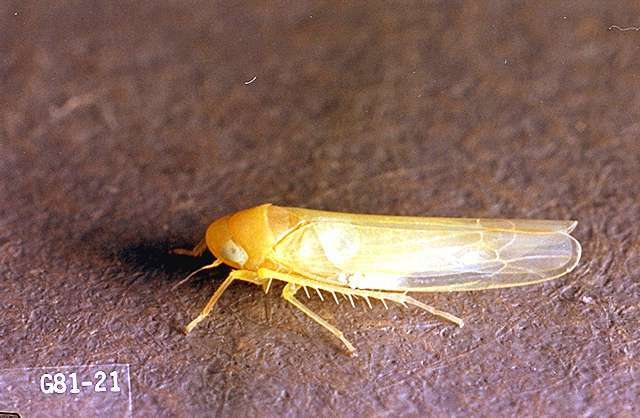 Some leafhoppers exude copious amounts of honeydew which can result in sooty mold.